By learning the techniques and information provided in this DVD, you will be optimizing your fertility quotient. Accredited LCCE, and have been teaching childbirth classes for more than 15 years. Hi! I'm Laurel Binder and this DVD is to teach you and your spouse or partner how to change your lifestyle, nutrition and mental outlook and acupressure techniques to help you to increase your body's natural ability to conceive. I devised this program after working with hundreds of women in my Acupuncture fertility practice to successfully achieve motherhood. So many of my patients were looking for additional tools to help enhance their treatments so I developed this system which they could do on their own to bolster the efficacy of their treatments - and it worked wonders! There are specific Acu-points that can be used to increase blood flow and oxygen to the reproductive organs, calm the mind and increase overall well-being. You will learn how you and your partner can locate and stimulate the Acu-points on your own. 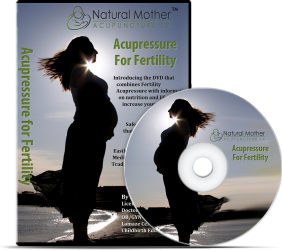 You can use the DVD as your primary fertility enhancement method or as an adjunct therapy with traditional Chinese medicine and acupuncture or with assisted reproductive therapy (ART) and Western medicine. There are specific fertility-enhancing superfoods which are outlined in the video which radically increase fertility essence. In addition, calming breathing techniques can help manage distress and stress, which is a proven contributor to infertility. These are simple effective tools that will help you and your partner connect emotionally and physically while on the journey to becoming a happy family! I love medicine. All medicine. I have been a practitioner in the Women's Healthcare field for more than twenty years. I began my career in Women's Health as an RN in Brooklyn working in labor and delivery. It was in my first delivery I experienced the miracle that happens when five people go into a room and six come out. From that moment on I understood that I was meant to do this work. After moving back to California, I entered Harbor-UCLA in Los Angeles to become a specialist in Women's Health as a nurse practitioner. I wanted to expand my skills and knowledge in order to offer more comprehensive care to my own patients. At first, it was exciting to have the new freedoms that my title gave me, however, soon I discovered that I didn't have the whole picture. There was more to learn and more to give. I had been aware of acupuncture and alternative medicine since the early 80's. I had never considered applying it to my patients. Then acupuncture interns from a local school began seeing patients at one of the clinics where I practice. I began referring my patients to them to address the complaints that my western training had not resolved. To my delight, they consistently got results. After a year of observing this phenomenon, I decided to study Traditional Chinese Medicine to become a licensed acupuncturist. It has been an extraordinary journey. I have learned a whole new perspective on health from an eastern point of view to enhance my Western medical training. It has enriched my life and I believe the lives of my patients as well. I am now able to evaluate and treat my patients more completely through acupuncture, herbs and a comprehensive lifestyle evaluation. My love for medicine will always lead me to the best and most comprehensive care for my patients. I look forward to helping you on your journey to a joyous pregnancy and successful childbirth. Acupressure is a complementary medicinal technique derived from acupuncture. In acupressure physical pressure is applied to acupuncture points using the fingers, hands or massage tools. With over 2500 years of history of practice, acupressure techniques have been used to facilitate the birth process for generations of women. Qi is the central underlying principle in Acupuncture and Traditional Chinese Medicine. Qi is the vital energy that flows through the body. The body's functions can be stimulated via the acu-points. Acu-points are the areas on the body where energy is easily accessed. In acupuncture, needles are used to achieve "DaQi": connecting with the Qi so that energy can be dispersed from and excess area or drawn to an area if it is deficient. Needles can be wonderful tools in the hand of a skilled acupuncturist but there is no stronger conductor of Qi on the planet than the human hand. I started acupuncture sessions with Laurel shortly before undergoing an IVF cycle in the hopes it would increase our chances of success. I am happy to say the IVF worked first time and I am very confident that the acupuncture sessions I had with Laurel before and after egg retrieval and transfer played a large part in our success. I continued to see Laurel weekly throughout my pregnancy, working on several factors from holding and calming points to treatment for back and rib pain. Her knowledge of pregnancy related ailments and their treatment using acupuncture really helped me stay active during my pregnancy. Later in my pregnancy we discussed acupressure for pain relief and more effective labor. I used Laurel's DVD 'Acupressure and Breathing for Childbirth' during my labor and had all the nurses surprised that I was in very little pain even though the monitor was showing strong contractions! The great thing about the DVD is that it is very calming, easy to follow and gave me something visual to focus on while copying the breathing techniques and it allowed my husband to be involved in the labor process by following the DVD and finding the correct pressure points on me that he could press to help with pain relief and help get the baby moving downwards. He was also very happy to be doing something useful during this time! I am so glad I had the opportunity to use this DVD and I would highly recommend it to anyone preparing to give birth whether naturally or medicated. It really is an invaluable tool and I will definitely use it again when we have baby no. 2! I cannot recommend Laurel highly enough. She is wonderful! Thank you Laurel! My name is Sandra and I live in West Los Angeles. I was referred to Laurel Binder through my OB/GYN. I was treated by Laurel for two months for infertility issues. When I began seeing Laurel, I was depressed and was looking for new hope. She gave that to me. I did not know what to expect when I walked into her office that day...but I soon realized that Laurel was not just going to be my acupuncturist...but some one who listened and cared. I looked forward to my weekly treatments with Laurel. I knew that after each appointment, no matter what I was personally dealing with, that I would feel better after the treatment. I truly believe that the treatment that Laurel provided to me was the key ingredient in achieving pregnancy! I feel so very fortunate to have met Laurel and been treated by her. I often think back to the first time I stepped into Laurel's office. After months of uncertainty and many of my concerns having gone unanswered by my doctors, I was feeling dejected, frustrated and very anxious. It was so lovely to meet Laurel and to feel listened to. I immediately felt at ease and her calm, confident manner was very healing. With Laurel, I was met with warmth, a sympathetic ear and a reassuring confidence that I would be able to conceive through the help of acupuncture, diet and exercise. I found the course of treatment to be healing on so many different levels. To my great surprise and delight, I found out I was expecting only a couple of months into the treatment. I am now thoroughly enjoying motherhood and often think of Laurel. I am so very grateful to her. "I first started seeing Laurel Binder for infertility treatment. My husband and I had many tests done and the doctors didn't find anything wrong with either one of us. They suggested we start with injectable fertility drugs and intrauterine insemination (IUI). We agreed that we would like to try IUI but were not ready to start with the fertility drugs due to the side effects. We decided to do a "natural" IUI cycle and try acupuncture as well. To our surprise (and our doctors as well) we got pregnant the first cycle after I started acupuncture. I was seeing Laurel 2 days per week. In addition to achieving pregnancy after 16 months of infertility, I also had more energy and felt better than I had in a long time. I look forward to going back for more treatment after our baby is born. Laurel is great! Her mix of western and eastern medicine is priceless!!" My husband and I were struggling with fertility issues for almost a year when I started seeing Laurel. My hormone levels were out of balance, resulting in my ovaries responding poorly to hormonal signals. Within months of beginning treatment with Laurel, my hormone levels were completely normal. After a few more months of continued treatment, we got pregnant and are expecting our baby in January. In addition to providing acupuncture treatments and diet and supplement/herbal advice, Laurel's guidance and support was an incredible gift. Dealing with Western medicine, where the answer to every problem seemed to be more drugs and the most invasive treatments, Laurel really helped to put things in perspective and was integral in helping us find the right path for us. The experience, overall, was truly invaluable and I feel blessed to have found and been treated by Laurel. Infertility, postpartum disorders, premenstrual disorders, irregular periods, heavy bleeding, endometriosis, hormone related emotional imbalances, pelvic pain, menopausal symptoms, as well as many other gynecologic disorders can be treated with the help of acupuncture and herbal medicine. When skillfully applied, acupuncture therapy and traditional medicine prepared from different herbs, are effective in correcting many of the imbalances which underlie the complex physical and hormonal disorders which lead to reduced fertility or infertility. Appropriate nutrition and lifestyle are essential in achieving wellness and balance. Once this occurs, conception is much more likely. Customized nutrition and lifestyle counseling based on each patient's diagnosis is included at the initial visit. The treatment of infertility with acupuncture usually requires a commitment to enough time to rebalance the body's systems. If there are menstrual problems, then treatment must proceed until at least 3 normal cycles are achieved. From there, you should give yourself at least 6 months, and preferably 18 months, to achieve pregnancy. Please call me to obtain information on acupuncture and traditional medicine treatments for infertility and other problems. ABC.COM: Could Acupuncture Help Promote Pregnancy? Study: Influence of acupuncture on the pregnancy rate in patients who undergo assisted reproduction therapy. She 'balanced' and strengthened my chi for the digestive issues with acupuncture and herbs and pretty soon, those problems were gone. She then worked on helping to get me pregnant...(I was not on any other fertility treatments and did not have any plans to). She said we should give it about 6 months. Sure enough, at 6 months I was pregnant. Unfortunately, we miscarried at 8 weeks. But I continued to see her for treatment and we did get pregnant again and now have a healthy baby boy (born March 6, 2012). In addition to herbs and a recommended diet, I truly believe Laurel's acupuncture helped!!! Once we were close to delivery, she recommended her Acupressure and Breathing for Childbirth DVD for use during the day of delivery. I have to say, it really helped lessen the pain of the contractions (esp the sacrum points!). I went to 6cm without an epidural (the anesthesiologist thought it was pretty impressive that I made it to 6cm w/out any drugs). My husband did a great job in administering the acupressure and I really believe it was effective to ease the pain. I whole heartedly recommend Laurel Binder for any acupuncture treatment and her acupressure instructional DVD. Aside from the benefits of acupuncture, she is very knowledgeable, compassionate, has excellent bedside manners and a real positive outlook on life. She made our whole baby-making experience a lot less stressful! This is a little late in coming, but I wanted to thank you for being instrumental in allowing my husband and I to become parents. At the age of 46 and with the help of IVF procedures and your acupuncture treatments, we gave birth last year to our boy/girl twins on July 8, 2011. Here is a photo of Audrey and Luca for your baby success stories. They are 10 ½ months now and happy, healthy, thriving children. Laurel, I'm so thrilled to tell you that the Doctor called this afternoon to tell me that my beta HCG is 68!!! I'll go back for another test on Monday. Thank you so much for everything!! Let me know when you think it might be helpful to have another treatment!!!! I still can't believe it!!!! Here is the ultrasound photo from 11 weeks at the CVS. We just got the results back and everything turned out normal!!!! So far we are passing all of our milestones with flying colors. Now that I'm nearly out of the first trimester I just wanted to take this opportunity to thank you for all of your help during this process. Being an older mother (39) with a high FSH (18) I was beginning to think my chances of conceiving a child were slim. But with your expert care and guidance with nutrition, herbs and acupuncture, I fully believe that together we lowered my FSH to 11 which enabled me to get pregnant. I also really appreciate your willingness to assist when we decided to go with Clomid and and an IUI. I'm positive that the course of herbs and acupuncture for that cycle helped it become successful. I still can't believe we were successful with our first IUI. Again, thank you for everything and especially for your calming manner during my times of stress and frustration. Acupuncture is definitely the way to go when Western medicine doesn't provide much hope. I apologize for not scheduling my next session. Things got a little busy and then it turned out that I did not need the second session. We are pregnant! I wanted to write and thank you for your help and let you know why I did not return. I'm not sure how it finally happened but I do believe the acupuncture made a difference. I'll definitely be returning if I have more needs in the future! Thank you again and I wish you all the best! I've been meaning to write for some time; I just wanted to let you know that I'm doing just fine! I'll be six months next week, can you believe it? Our due date is January 29th, and we found out it is a boy. John and I are totally excited! The whole pregnancy thing has been mind blowing - just with the shock of it of course. But somewhere along my fourth or fifth month, something clicked for me. So now I am finally able to relax and really enjoy this pregnancy. It is very funny seeing my body change so rapidly, and I love feeling baby kick around in there; it's just an amazing thing. I hope you are both doing well, and Laurel, I will be sure to forward a testimonial soon, because I am forever grateful for the gift that you and Christina helped me to receive. When you are going through infertility, you will try just about anything to get pregnant. Although, I was hesitant and skeptical about acupuncture, I still wanted to give it a shot. So, I started seeing Laurel in March of 2007. From the moment you walk into her office, you feel such a sense of peace and calmness. And that is brought on even more so with her soothing voice and gentle, kind ways. She gives an outpouring of positive support to each and every person. The actual acupuncture, itself, is not painful at all. She is a master at placing the needles and never allows you to feel pain. After about 30 minutes of blissful napping, I walk out of there on a cloud -- so relaxed and carefree. It was within two short months that she had me ovulating on my own. We soon turned to IVF because of severe male factor issues. It was our first time going through in vitro fertilization (IVF), so needless to say, there was a certain amount of apprehension. However, this is one of Laurel's specialties -- a particular acupuncture protocol during the various phases of IVF. It was a picture-perfect IVF phase. 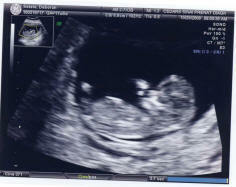 I am now nearly 6 weeks pregnant. I whole-heartedly believe if it wasn't for Laurel and the acupuncture, there is no way the IVF treatment would have gone as smooth or flawless. I will continue to see her through the term of my pregnancy and beyond! She has become my 'security blanket' and I can't imagine going through 9 months of pregnancy without her. There just aren't enough words in the dictionary to express my gratitude to this woman and her practice. She is truly an angel and I am so blessed that I found her! I highly recommend Laurel Binder to anyone! I can't thank you enough for all of your help in getting me to this stage. As you know, we had been trying to conceive for almost two years and had two blighted ovum miscarriages before I came to you for treatment in January 2007. Before finding your practice, I had visited two acupuncture/oriental medicine practitioners, one for seven months, and another for four months. Both had been highly recommended to me by others. During that time, I brewed shopping bags-worth of herbs, took herbal capsules, had acupuncture treatments to stimulate ovulation, etc. However, despite all the treatments and expenses, I never felt any noticeable difference in my health. To my amazement, within 4 treatments and just 2 weeks, I noticed tremendous improvements in my overall health. My energy level increased greatly, and my cycle - which were somewhat irregular and always very long (43 - 50 days apart), shortened to around 33 - 35 days. I also began a new cycle of Clomid (my second, at a higher dosage), and experienced none of the side-effects that I had the first time around at half the dosage. Although you know that I can't completely relax (I'm trying!) until the baby is safely delivered (then it will be a whole different set of worries), I am hopeful, optimistic and excited about this pregnancy. I firmly believe that the journey and outcome would not have been as positive if I had not found you, and from the bottom of my heart, I thank you. When we are ready to try for the next baby, I will be sure to visit you, my earthly guardian angel, again - to put me in the best of physical and mental health for success. After almost 3 years of "unexplained" infertility accompanied by a slew of eastern and western medical tactics, I was at the end of my rope. I had just completed the first part of an IVF cycle, with 7 eggs retrieved, only to hear days later that none of the eggs fertilized with poor egg quality cited as the reason for this. I was 33 at the time. My husband and I had pre-paid for 2 IVF cycles, so we hoped that a change of meds and ICSI would provide better results the 2nd time around. Meanwhile, I was emotionally devastated, but knew I wanted to take charge of what we knew would be our last big guns fertility treatment. Here's where the story takes a turn for the better. I came across Laurel's Web Site and requested a consultation. Well. Laurel was everything I had been looking for in an acupuncturist and in the hopes of best complimenting the Western treatment I would continue to undergo. Her acupuncture, like her exam rooms, were thoughtful examples of her ability to relax and rejuvenate. She is a fantastic communicator, finally giving me a full Eastern exam and diagnosis as well as a detailed dietary plan of action that I could really work with. My RE recommended I try "fertility blend" and Laurel took this and any other medication into consideration and prescribed (without pushing!) herbs that I would take during the time off period prior to our next IVF, which spanned several months. By the time I began our next IVF, I felt like a different person and I know I owe a great deal of that to Laurel. The results were remarkable. I had always been a not-so-great/poor responder when it came to stims, this time around I produced 17 eggs and, I guess it was a numbers game because we were able to transfer 3 embies (an 8A, a 6A and a 6B). And tomorrow I will be 22 weeks pregnant, amazing. I cannot recommend Laurel strongly enough, she is, simply put, a Godsend. I first was a patient of Laurel Binder's because I was going through infertility treatments and my body felt out of balance due to the fertility drugs that I was taking. We were getting ready to do a second try of IVF (in vitro fertilization). Laurel was recommend to me and I started treatments twice a week. As the treatments with Laurel progressed my IVF doctor could not believe the progress I was making with the drugs. He was truly amazed at how strong and improved my physical state was as opposed to before when I was not under going the Acupuncture treatments by Laurel Binder. I got pregnant and now have a baby boy! After the birth I was very sore and emotionally all over the place. Again, Laurel treated me and I felt my body respond and heal. I am not exaggerating but in one day after the first treatment I felt my swelling go down and my emotional state became calmer. I am amazed at Laurel's intuitive talents and her skills as a acupuncturist. I believe that the healthy birth of my son and my fast recovery after the birth was 100 percent helped and improved by the treatments of Dr. Laurel Binder. I visited Laurel for help getting pregnant, and after just three appointments I learned that I'd conceived! I loved Laurel's calm and warm demeanor, and felt very confident in her command of both Eastern and Western medicine. I will definitely see her for treatment of any health issues I might face in the future. My husband and I tried for over four years to conceive. Our doctor had prescribed three treatments of Clomid to help regulate our ovulation cycle. With our last month of Clomid looming and the prospect of IVF on our horizon I contacted Laurel to see if she could also assist with acupuncture treatments. Laurel's incredible warmth and her ability to listen to her patient's needs truly enabled a very calming approach to an area of medicine that I had not experienced before. I believe my healing with Laurel was not only with our dilemma of not being able to conceive but also my soul benefited immensely from her treatments. I'm writing to thank you for your incredible work with my wife, Melanie. I have to admit I was not a firm believer in acupuncture/Chinese medicine, but you have changed my entire outlook on the profession. After nearly a year and a half of trying, Melanie was pregnant exactly 8 weeks after seeing you. I can't convey how much this has changed our lives. Not only do we have a child on the way, Melanie feels much better mentally and physically. I first went to Laurel after 6 months of trying to get pregnant. My doctor had recently diagnosed me as having PCOS. Imagine my relief when Laurel, due to her previous Western medicine training, knew exactly what that meant without any need for me to translate. We quickly got to work and she treated me holistically, from the needles (not as scary as I thought they would be) to my diet to reassuring conversations. She helped me through this challenging time both physically and emotionally. She told me it would take 6-12 months for me to be balanced and my body to be ready. My fertility doctor told me my only option was in-vitro. Imagine our delight when I got pregnant naturally, no clomid, no in vitro, nothing, about 8 months after I started seeing Laurel. During my pregnancy, I saw Laurel every 1-2 weeks. She helped relieve many of my symptoms, including nausea and swelling. One day she felt my pulses and asked if I was seeing small dark spots - I was. She told me to eat more iron - red meat and spinach. I did and the spots went away. Two days later blood test came back from my OB and told me I had low iron. One of the many times my experience with Laurel was reinforced by Western evidence. As I neared my due date I got more and more ready to give birth. I have a family history of long labors. I went to Laurel the week before and then three days before my due date to get things moving in a natural way and to (hopefully) avoid the pitocin that had been so necessary for the women in my family. I went into labor the day I was due and gave birth within 3 hours of arriving at the hospital. I truly believe that I dilated so quickly and easily because of the treatment Laurel provided. I tell every pregnant woman I know to go see Laurel, especially if they are overdue! After I gave birth, I went back to see Laurel several times. My hormones were in serious flux, my body ached, I was overwhelmed and teary (though not sad). Laurel's treatments helped stabilize me and make me feel human again. But it is not just her treatments that are so effective. Laurel is an amazing spirit who truly listens. I feel fortunate to have her in my family's life. After two fruitless years trying to conceive, a friend recommended we try acupuncture. We found Laurel Binder's practice and decided to give it a try. My husband and I both had treatments for about a year. At the same time, we started working with a fertility specialist. We were amazed to see my husband's sperm count & motility improve significantly after a few months of acupuncture. Laurel's attitude is very open; we really like that she appreciates and encourages both Eastern and Western methods. Multiple rounds of fertility treatments and one IVF cycle didn't end up working but, miraculously, after over three years of trying we had a spontaneous pregnancy shortly after we stopped all treatments. Although we'll never know for sure, I am convinced that acupuncture with Laurel got me in balance and prepared my body for a natural pregnancy. We now have a precious little girl and are so thankful for Laurel's care and support! I'm a former patient of yours (Feb - April) and I just wanted to let you know that we are expecting! I found out the day after I cancelled my last appt with you (4/17). I just wanted to wait until I was nearing the end of my first trimester before saying anything to anyone. I had a scare around 6 weeks with some bleeding that landed me on bed rest for 2 weeks, but my doctor says that everything has resolved and that the baby looks great. Thank you so much for all that you did to get my PCOS symptoms under control and to help prepare my body for this baby. I really can't thank you enough. You are truly a gifted healer! Laurel is an incredible acupuncturist and person. She helped me at every stage of my pregnancy from getting pregnant quickly (after just two appointments), to managing anxiety throughout the pregnancy and finally at the end, when I was going to be induced, I saw her a few days before the induction and the acupuncture points helped induce my labor very quickly once I got started at the hospital. She is warm, helpful, educated in both eastern and western medicine and extremely compassionate, especially in the areas of fertility and pregnancy. I highly recommend her to any woman who is trying to get pregnant or who wants extra support during pregnancy. She is wonderful! Having tried two other acupuncturists in my attempts to get pregnant after a miscarriage, I had just about given up on acupuncture before I stumbled across Laurel Binder. She is an amazing acupuncturist and human being. While my previous acupuncturists had left me bruised around 50% of the time, Laurel never bruised me once. She is approachable, kind, supportive, extremely knowledgeable, and instantly puts you at ease. I always looked forward to my appointments, to which I happily drove 30 miles each way. Her office has such a calming energy, and even during the most stressful times I managed to fall asleep during the treatments. I absolutely credit her with helping me get pregnant and stay pregnant with my twin boy and girl. I cannot thank her enough.